Rabbi Chaim Ingram is questioning a story he considers negative published in the media revealing that the Rabbinical Council of NSW advised the members of this orthodox organisation not attending a memorial service for Jeremy Spinak, a former president of The New South Wales Jewish Board of Deputies, as it was to be held at The Emanuel reform synagogue. Jeremy Spinak passed away in November at the age of 36 following a seven month battle with cancer. The exposure of the advice to the orthodox rabbis has raised the ire of the present president of the NSWJBD, Lesli Berger. 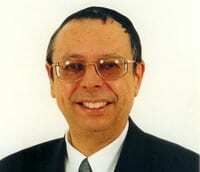 Rabbi Ingram is the secretary of the RCNSW. 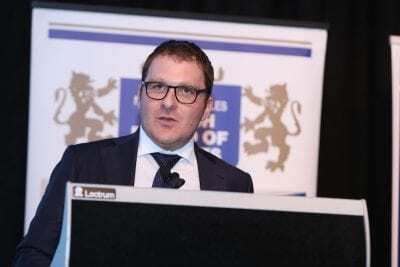 He told J-Wire: “We the rabbis of Sydney were all very cut up about Jeremy, particularly those of us on the RCNSW Executive who had worked closely with him in an atmosphere of mutual respect. Cognizant that colleagues would wish to pay their respects without contravening Halacha, I approached the Sydney Beth Din for guidelines regarding how we could and could not do this and conveyed,their response – namely that we could not enter a reform place of worship but could convey our respects elsewhere – to my colleagues on the RCNSW. Rabbi Ingram emailed the RCNSW rabbis: “I have consulted with all the members of the Sydney Beth Din and they are unanimous in reiterating that it is asur [forbidden] to enter the sanctuary of a reform temple. This should be borne in mind by chaverim re the upcoming funeral of Jeremy Spinak on Sunday. 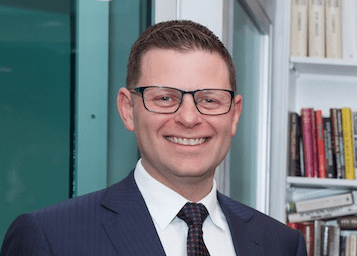 NSW Jewish Board of Deputies President Lesli Berger commented: “Our much beloved immediate Past President Jeremy Spinak worked tirelessly to make sure our community was stronger and safer. Jeremy’s family and our community continue to grieve as we come to terms with his loss. Jeremy was an extraordinary unifier as demonstrated by the fact that the Premier, the Leader of the NSW Opposition, former political Leaders, Parliamentarians of all political persuasions, Rabbis, community leaders from numerous major ethnic communities and hundreds of members of the Jewish community attended his funeral. It is shameful and beggars belief that at a time of enormous sensitivity and piercing grief and trauma a declaration was issued prohibiting attendance at Jeremy’s funeral. It must be noted that a significant and meaningful number of Orthodox rabbis showed the moral clarity and leadership our community expects of our religious leaders by attending his funeral and appropriately honouring and respecting the enormous contribution Jeremy Spinak made to our community. It will come as a significant shock to our community that a similar campaign of exclusion was waged to discourage Orthodox rabbis from attending the Pittsburgh community vigil. A Beth Din which lacks accountability, transparency and governance and is used as a vehicle to run a business partnership by two of its senior members has lost the respect of the community to which it is supposed to serve. It’s time the community called for their resignations! The need for a source of wisdom with integrity and reliability which commands the respect of the community has been very well demonstrated in recent times.